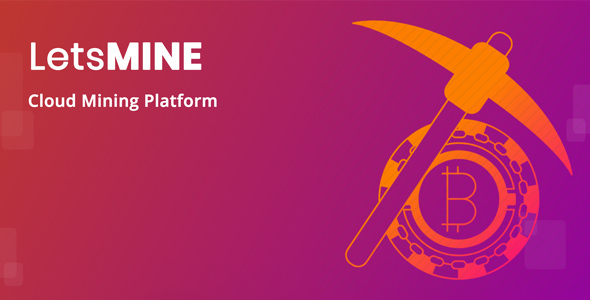 LetsMine Is a Multicoin Cloud Mining Platform Developed With PHP Laravel. Fully Automated, Unique Design, Unit Facility, Electric Charge, Hash Chooser, Live Profit Calculator & More Facility Comes with LetsMine. Suitable for Bitcoin Mining, Etherium Mining, DOge Mining, Dash Mining and More Others. Support TH, GH & MH – Almost all Hashing System. Support Global 16+ Payment Method Including 500+ Crypto & Master/Visa Card.